Use FME to overcome the challenges associated with integrating Cosmos DB (formerly DocumentDB) NoSQL databases with other on-premises and cloud-based applications. Whether you need to load data into Cosmos DB or use its data elsewhere, FME’s native support for it, JSON and hundreds of other formats allows you to accomplish these tasks efficiently, without writing any code. FME is data conversion and integration technology that enables you to easily create workflows that connect Microsoft Azure Cosmos DB with different applications by moving data between disparate formats. It features an intuitive graphical user interface and read/write support for hundreds of formats and applications including JSON, XML, CSV, Excel, SQL Server, Oracle, and more. It also has a library of no-code data manipulation tools that can restructure the contents of a dataset to fit the model of any target system. Working with the JSON format is inherent to integrating with Cosmos DB databases. 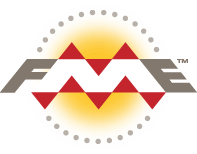 FME is equipped with advanced tools that enable you to generate complex JSON, parse JSON files, edit contents, extract subsets of values, and validate syntax, without having to write any code. FME lets you integrate Cosmos DB with practically any web service in use by your organization. In addition to its capabilities with JSON - the language of the web - it has customizable tools that enable you to connect to almost any cloud-based application with an API and capture its data. 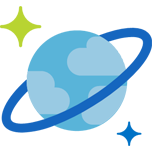 Keep Cosmos DB databases updated with dynamic data sources like web services by deploying FME technology via FME Server or FME Cloud. Each product offers capabilities for automating workflows such as scheduling and real-time event processing. FME lets you integrate many applications and file formats. Here are some of the ways our users convert Microsoft Azure Cosmos DB (DocumentDB). The table below outlines how Microsoft Azure Cosmos DB (DocumentDB) is supported by our different FME products, and on which platform(s) the reader and/or writer runs.